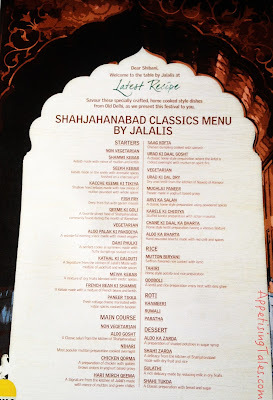 There are a few things that I found quite incredible about the Shahjahanabad Classics Menu by Jalalis at Latest Recipe, Le Meridien Gurgaon, besides the food! Yes, the food is fantastic. It showcases a range of dishes that are cooked in real homes in Shahjahanabad, the erstwhile name of the Walled City in Old Delhi, where the Jalali family hails from. But how often have you seen a 5-star hotel creating an entire food festival in association with ‘homecooks’? And when multiple luxury hotels within the same city tie-up with one family within a span of months, there has to be something very special about the family and the food that they serve! When food critic Osama Jalali was asked to organize a food walk in Old Delhi during the month of Ramazan, little did he know that within 2 days 70 people would sign up for it. But it was not surprising for a couple of reasons. 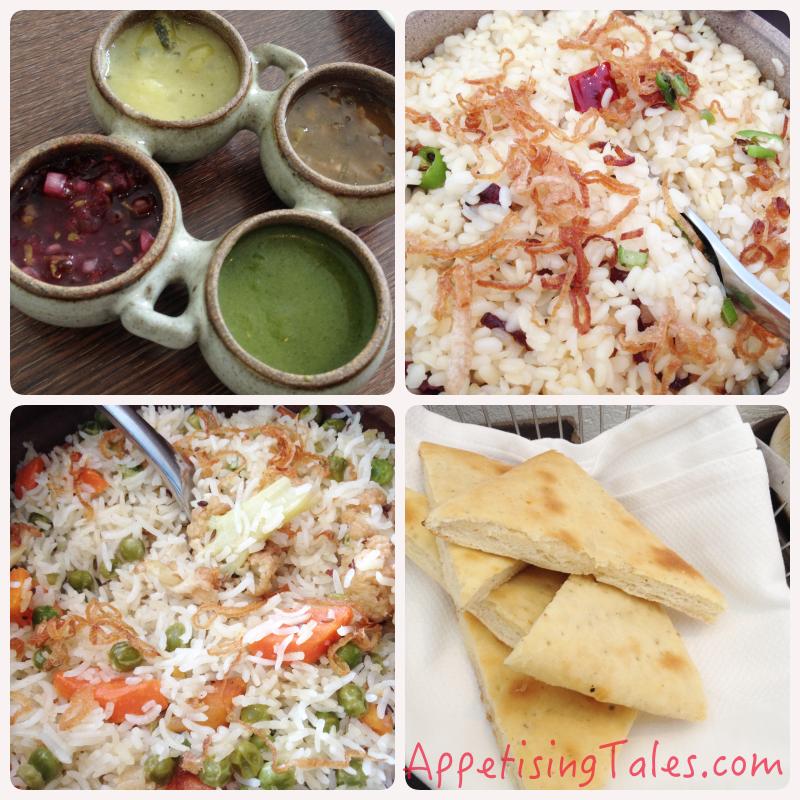 One, Osama’s knowledge on food, particularly Mughlai, is astounding! Two, the Jalali family has been known for their delectable daawats and sharing their home-cooked delicacies with friends and family during festivals like Eid. In fact, on several occasions Osama has happily spent an entire month’s salary on a daawat of home-cooked food for his colleagues. Osama’s Ammi, who is a passionate and gifted cook, learnt most of her cooking by royal and nawabi khansaamas (cooks) in her maiden house in Rampur. When she got married to a doctor and moved to Old Delhi, in addition to the consultation fees, many of her husband’s patients would get them home-cooked biryanis and qormas. Out of their gratitude for the doctor, they would also share their well-guarded family recipes with Ammi. Thus her repertoire of traditional recipes kept growing. Osama thus grew up equally passionate about authentic, traditional cooking. He also founded a Facebook group called Lost Recipes of India because of his belief in preserving our age-old recipes lest they’ll all get lost in the wave of Modern-Indian that currently seems to be taking over the country. 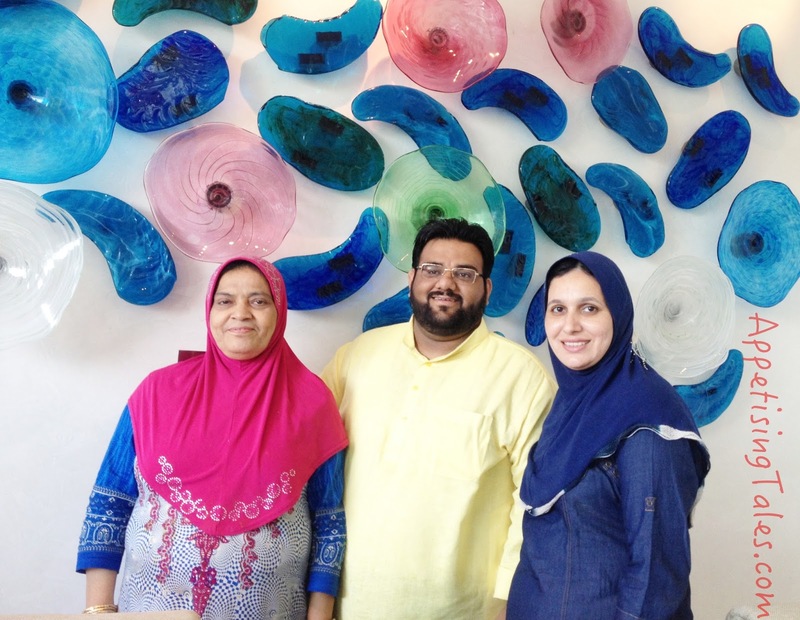 His wife, Nazia, too has learnt cooking from Ammi and is an integral part of the Jalali trio. Even though they are happy to share their recipes through masterclasses and even by imparting training to senior chefs of various hotels, they are extremely hands-on during a food promotion at a hotel. From the sourcing of the rare spices to the execution of every dish is done under their very watchful eye, and many times by their own hands! The Jalali Family: Ammi, Osama and Nazia. They also showcase different dishes and cuisines in different promotions. For instance, the cuisine of Rampur was the highlight at The Oberoi, Gurgaon while the current festival at Le Meridien Gurgaon is centered around the food of Shahjahanabad. They recently concluded a food festival at the Pakistan High Commission, Shan-E-Punjab, and over the next few months you will find them at The Oberoi, Bengaluru and the Trident, Hyderabad. 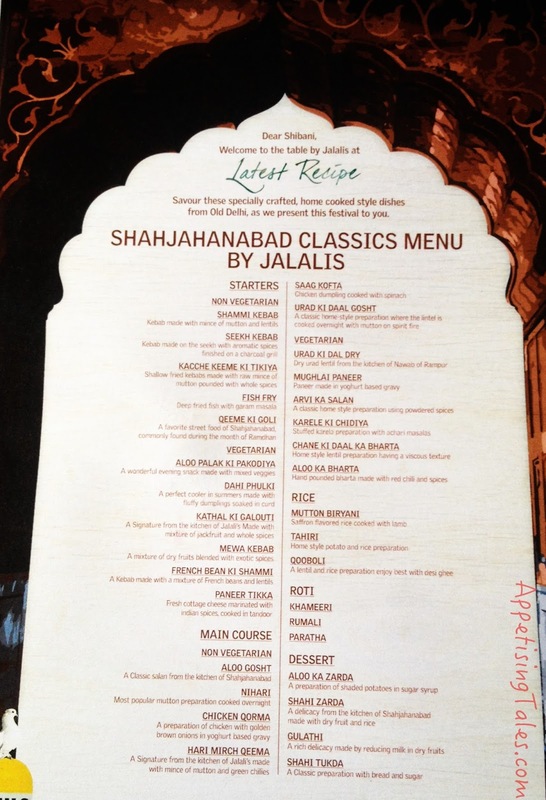 Highlights of the Shahjahanabad Classics Menu.. The choice of kebabs is astounding and what I appreciated the most was how distinct every kebab tasted. 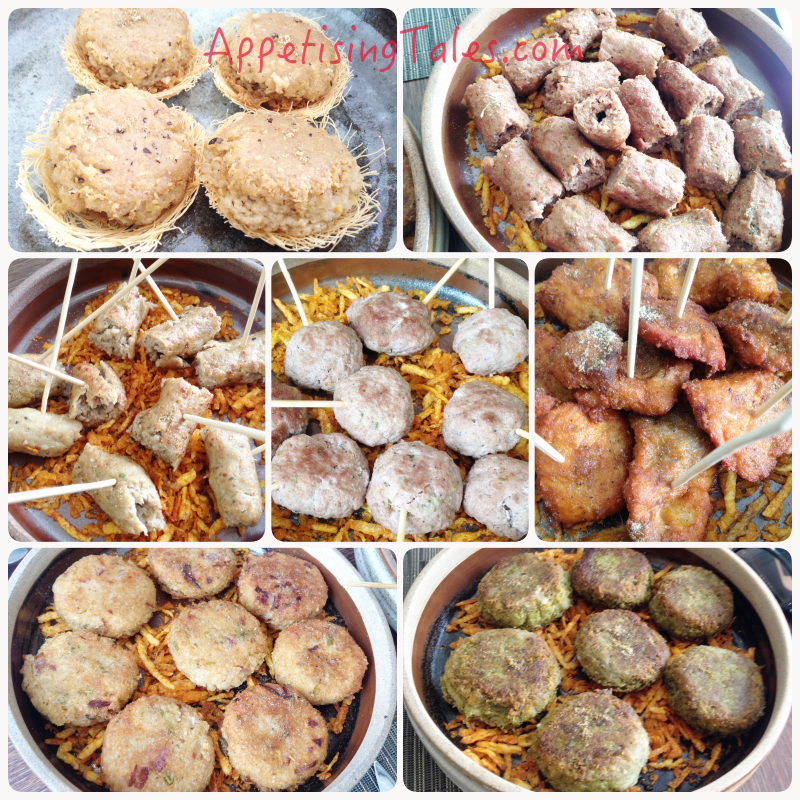 I can’t recall the number of times I have had kakori and galauti kebabs that tasted exactly the same. But that’s not the case here since a different combination of spices is used in the preparation of different kebabs. The best part is that because these are made by recipes of what is cooked in real homes, they are not as heavy as one would find them in a restaurant, if ever one was to find all these in restaurants! While they are all fantastic, the Qeeme ki Goli is out of this world, and I have never had such flavourful Chicken Seekh Kebab. Even the vegetarian options of Kathal ki Galouti and French Bean ki Shammi are outright winners. 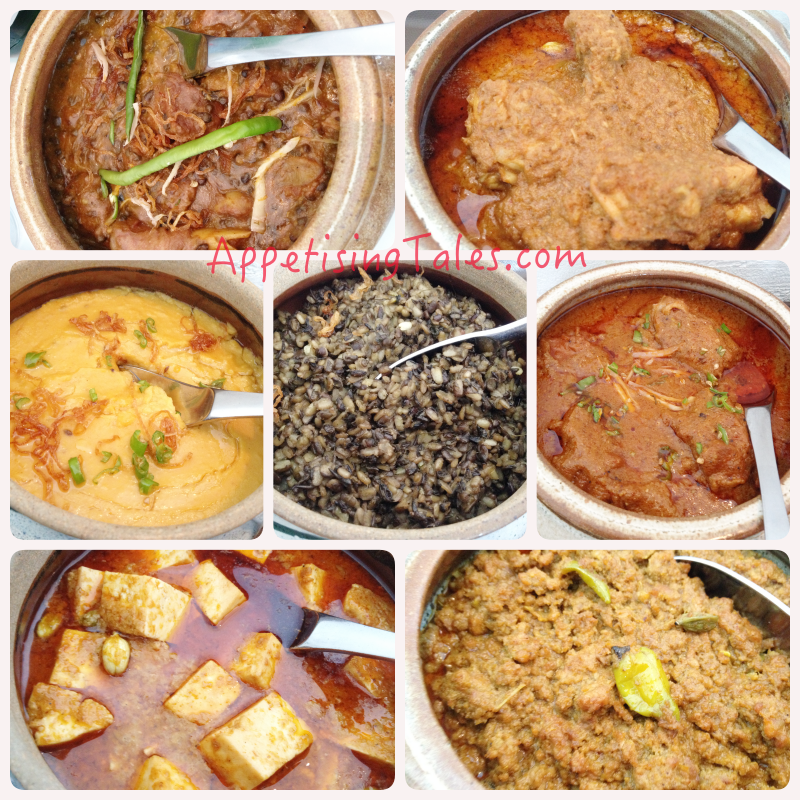 The non-traditional accompaniments are the different chutneys made of cranberries, pineapple and spring onions. From the mains, Urad ki Daal Gosht, Aloo Gosht and Urad Ki Dal Dry are outstanding and go very well with the Mutton or Vegetable Biryani and Khameeri Roti. Chutneys, Biryanis and Khameeri Roti. 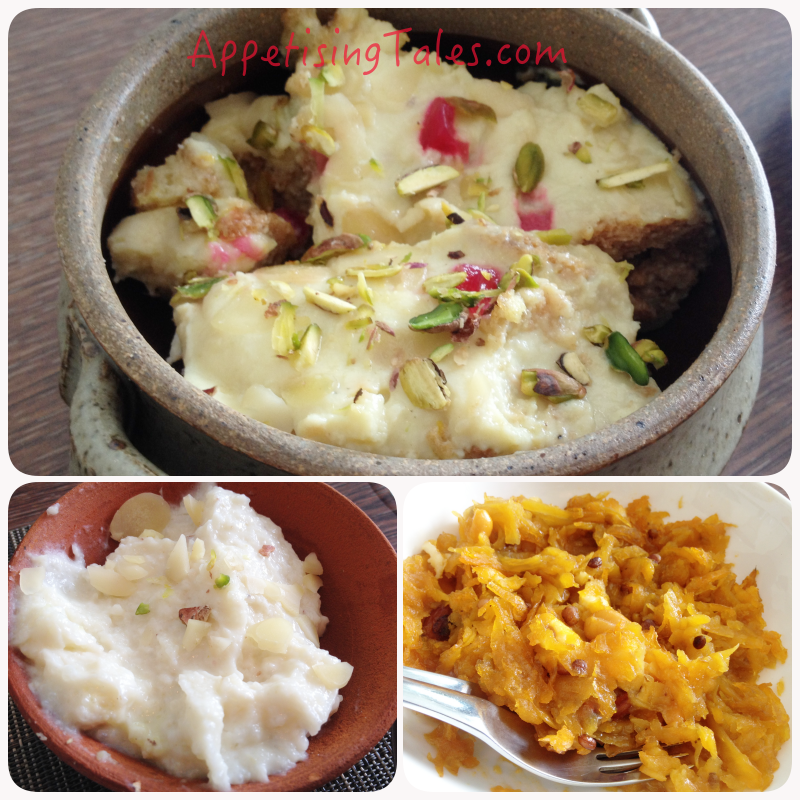 In the desserts, I doubt if you’ve ever had Aloo Ka Zarda, shredded potatoes cooked in sugar syrup. Then there’s a different version of the Shahi Tukda, this one is not deep-fried, and finally Gulathi, a rich delicacy made by reducing milk mixed with dry fruits. I also like the different options available to savour this food. You can enjoy all the dishes in the lunch or dinner buffet menu, along with the usual spread of Latest Recipe. Or, you can simply go for the set menu and choose your dishes. And if that is too much for you, just order a la carte. But do remember that this menu is available only ‘til the 20th September.